In over 25 years of practicing law, most of which has been as a partner with huge firms employing 250 to 1000+ attorneys, I have seen that many businesses that need great legal talent do not know how to find it, as sophisticated as these businesses are. The problem faced is two-fold. First, big law firms market an image that, unfortunately, has little to nothing to do with the individual skill sets of the hundreds of individuals they employ. Great legal service and skill does not come automatically wrapped up nicely with any firm’s (big or small) advertising campaigns (which, more often than not, are designed by people who are not even lawyers, but professionals skilled in public image promotions). Second, too many businesses err in thinking that anyone hired by a big firm must be a skilled, competent, attorney suitable for their matter, and accordingly, they fail to do the required due diligence (i.e., investigation) on the particular individual lawyer retained. Some businesses do not know how to do due diligence to find a talented attorney suitable for their particular problem. Whatever the case may be, from my personal observations, great legal talent needed to solve real-world problems does not necessarily show itself merely because someone works for a particular firm or graduated from a particular school. How can anyone find good legal talent to help resolve business disputes, offer sound business advice or effectively close a business deal? At its core, a great Utah County Attorney is someone you can trust and have confidence that he or she has the wherewithal to best represent you in resolving a problem, whether it be resolved in court, worked out in a negotiation, or resolved through private legal advice. While trust is earned over time, great lawyers have developed attributes that will quickly merit your trust and confidence. Ultimately people hire lawyers to solve problems, and business situations more often than not produce unique problems that cookie-cutter solutions will not fix. Lawyers that know only how to do one thing, and one thing only, may not have the creativity needed to solve new or unique problems. Further, many business problems ride atop numerous facts and issues, some of which may be complex; a great lawyer is able to sift through the many and boil it down and organize it to the few. This not only takes creative thinking to reach workable solutions, but enough intelligence and humility to know when to dig for more possible answers, and enough experience to know where to start the problem solving process. A great Utah County Attorney will also not allow creativity and smarts to lose touch with reality and common sense. A good lawyer has the business “horse sense” to be able to recommend solutions based on good, common sense, judgment. Communication and interpersonal skills. No lawyer, no matter how talented or smart, is doing a client any service if he or she cannot listen. Many (if not most) bar complaints arise because clients feel abandoned, i.e., not heard, by lawyers that fail to return phone calls and emails and fail to take the client’s concerns and interests to heart when, ironically, trying to solve the client’s problems. Listening is a foundational skill in any human relationship, but for lawyers, it is the skill that allows them to create a bond of trust and a climate where sound business advice can make a difference for the client. On par with listening, of course, is the ability to communicate. In today’s world, this means communication with speech, written word, and with media (e.g., graphics, PowerPoints, etc. ), all done with interpersonal skill. Of course, clear, organized and persuasive speech is the skill that great lawyers are historically known for and cannot be overlooked. Lawyers solving business disputes have to be able to communicate effectively and appropriately with their intended audience: with clients one-on-one; with judges or opposing parties; and with groups, whether in a conference room, board room, or court room. A great lawyer must be able to communicate just as effectively in written word (paper or through digital media). A lawyer that cannot write clearly is apt to be someone who cannot think clearly, for writing, as Sir Francis Bacon said long ago, requires a person to be exact. Depending on the target audience, a talented lawyer also understands how to communicate visually, including how to communicate quickly and effectively through well designed visual media, such as a PowerPoint presentation. According to the National Center for Biotechnology Information, the U.S. National Library of Medicine and the Associated Press, the attention span of the average human being as of 2013 was only eight seconds. In 2000, it was 12 seconds. (Not to be dire, but the same sources report that the average attention span of a goldfish as of 2013 is nine seconds.) Statistics from these studies also report that the average office worker continually interrupts whatever task they are doing to check emails at a rate of once every two minutes. People today are in the habit of changing focus frequently. Lawyers have to adapt their communication to this reality. Concise. Visual. To the point—is the order of the day. 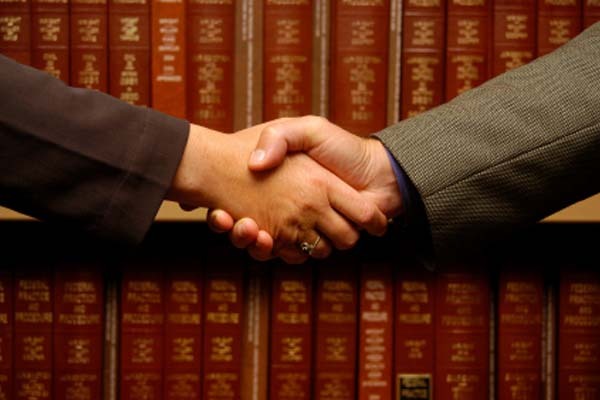 To a large extent, the traits of a great lawyer are interdependent on one another. A major flaw with one may likely taint the effectiveness of another. Honesty, civility and consistency provide an example of this linkage. A lawyer that is not honest with his or her client in the lawyer’s assessment or risk evaluation of the client’s issue, in the end, cannot be trusted. A lawyer that guarantees a result for the client or that only tells the client what the lawyer thinks the client wants to hear is not being honest. In such instances, even if the lawyer has terrific analytical skills and can speak clearly and persuasively, the lawyer’s dishonesty dilutes and compromises the lawyer’s other great skills, which are not brought to bear for the benefit of the client. Honesty and candor with the client are critical to the building of trust in the attorney-client relationship. Ultimately, however, great lawyers hold themselves to high standards of human decency, including honesty and civility. As I said before, this is because a great attorney must engender trust. Trust is earned through consistent conduct and competence. A lawyer that can “change his or her skin” for the right price, that can turn on or off honesty, ethics or civility with the flick of a mental switch, so to speak, cannot be consistently trusted. Further, such shenanigans will likely be caught. There are some judges that do not tolerate uncivil or dishonest conduct and a client’s position before such judges could be permanently compromised if lawyer conduct interferes with the merits of a case. Of course, a lawyer that is good at distorting the truth to gain a win is a lawyer who will earn a reputation repugnant to trust. I have named three basic traits (or categories of traits) that I believe every great attorney will have. These are what I call umbrella traits, meaning that while there are many other important attributes and practices a truly talented attorney may have, they usually fall within one of the umbrella traits. For example, a good attorney will bill for his or her services fairly and provide full disclosure to the client on the billing practices; but this could be considered a subset of category numbers 3 (Honest, Civility and Consistency) and 2 (Communication and Interpersonal Skills) above. A good attorney will not compromise his or her judgment by taking on work that is in conflict with an existing client. This, however, could be considered a subset of all three categories above as attorneys must be able to use their undiluted analytical skills to reach opinions and actions fully communicated with the client and not held back due to the interests of another client. Failing to do so is a form of dishonesty (category no. 3) and a breach of the client’s trust that it will receive the full benefit of a lawyer’s analytical problem solving skills (no. 1) fully communicated (no. 2) to the client. The list of top legal talent traits could certainly continue, but I believe the three umbrella categories identified here are the foundation for most, if not all, of the rest. So how does someone or some business select an attorney that possesses all three? Admittedly, there is no exact science to zero in on lawyers that possess all three, but I do have several suggestions that will aid in the task. First, at least be mindful of the list of three traits above when starting to look for a lawyer. Realize that the traits are very much individualized and specific to each attorney candidate, whether they work in a big firm or not. Second, talk to more than one attorney. Third, ask questions from each candidate. Generate a conversation. Lawyers ask juries every day to judge credibility and honesty of witnesses by listening to answers to questions posed to them; this is a human skill all people possess: use it when evaluating potential lawyers. Ask questions that might elicit the candidates’ ability to think and communicate. Ask them to identify issues and risks, just based on the limited information raised in the conversation. Ask them if they can conceive of any alternative solutions. Any conversation will allow you to assess competence, credibility and honesty. This due diligence is essential. Fourth, during the interview, ask about experience, which might (although not conclusive) mean more efficiency. And then after asking about experience, ask questions to help you determine if the candidates remain flexible and creative in considering new solutions for your problems. Every business situation poses some nuances that prior experience likely will not exactly overlap. Try to test the creativity of each candidate. This process need not be lengthy; just a question or two that opens up communication and lets you see the attorney thinking and communicating will be invaluable to you in the decision process. Fifth, of course, ask for an estimate of fees, but beware. Oftentimes it is very difficult to predict what will happen in the future that will require an attorney’s time and, therefore, your cost. Still, you can ask who will work on your matter; what their billing rates are; what efforts will be made to promote efficiency and limit the overall expense. A business should get assurances that the procedures in place will promote the best outcome at the most reasonable cost. Sixth, on a related point, determine whether the lawyer or firm you are talking to will require an army of lawyers and staff to resolve your issues. Sometimes individual attorneys do not have the breadth of experience or confidence to do more than one or two things; if your issues demand more, then you are inviting a team of lawyers and a larger overall cost to resolve your matter. It will likely be worth your diligence to see if you can find lawyers that have a broader base of experience. Someone who is more than a “one trick pony,” so to speak. If you can limit the number of people working on your business problem, you more often than not will limit the cost, and often get better, more satisfying, results. Too often, too many people working on a project overlap in what they do, not knowing what is going on in the overall picture. This all generates wasted expense for you. Seventh, and perhaps most important, talk to references. Find out from the references what the experience was like working with the candidate attorney. Dig deeper than just asking if the matter was resolved satisfactorily, but find out how it was resolved, and how the client reference perceived the process that led to a resolution. This will be valuable information that you can use before making your final decision. In the end, your decision on selecting an attorney will be subjective. But do not think that this due diligence is wasted. Consumers of other services all the time do some form of due diligence to help insure that the selected service provider will do the best job for the best price—whether it be for an auto mechanic, home renovator, etc. Finding the right lawyer has the potential to have much larger consequences, for good or ill, than the services that consumers already investigate out of hand. And the due diligence should certainly not be any less, and in fact, should be much more rigorous. *Steve Lundwall has been practicing for over 25 years as an attorney in the fields of business law, commercial litigation and intellectual property consulting, licensing and litigation. He is a graduate of the J. Reuben Clark Law School at Brigham Young University. 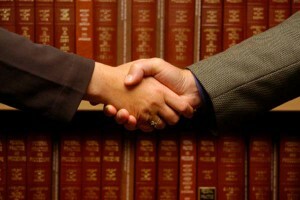 For a sample of cases and business matters he has worked on, see his website at www.lundwall-law.com. This entry was posted in Lawyers. Bookmark the permalink. Do I Need a Lawyer for Debt Consolidation?